We know some of you may have received a beautiful new Rip Caswell sculpture from Santa Claus and might be wondering how to care for your piece. With that in mind, we are re-publishing an earlier post on the subject. 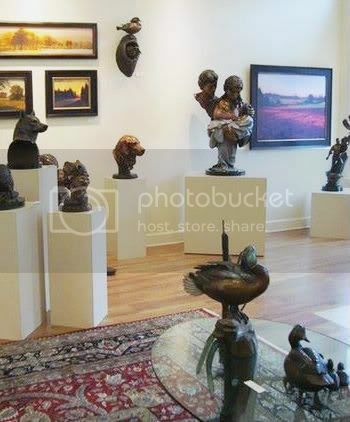 Of course, if you have any questions about your bronze, feel free to contact us at the Gallery. Although you may not be charged with caring for Liberty Enlightening the World (see our post titled “In the News…”), you may own a bronze that is your personal pride and joy! Part of the appeal of bronze is its very low maintenance and resistance to atmospheric patination. However, over time a little TLC might be required—or desired—to bring it back to its original luster, especially if your sculpture lives outdoors. Regular care of your bronze requires little more than a gentle dusting with a soft cloth, but if you’ve owned your bronze for a few years, you might want to brighten the surface up a bit. If your sculpture is installed outside, Rip recommends using a neutral shoe wax like Kiwi Neutral Shoe Polish (in the tin) to clean the surface. Apply the polish on a sunny day when the sculpture will be warmed by the sun. Rub into the surface with a soft, dry cloth, allowing it to stay for the day until the sun goes down and the sculpture cools. The heat of the sculpture will help the wax melt into the pores of the bronze. Once cool, gently buff away any excess with a soft, dry cloth. 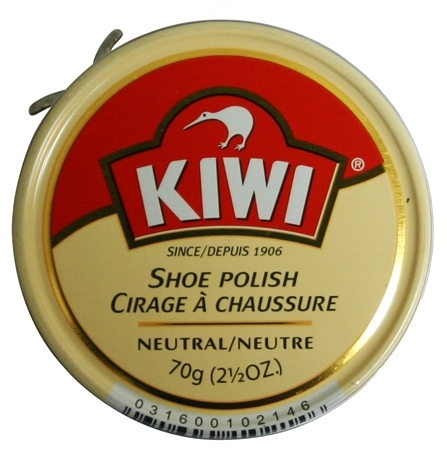 Even though shoe shining is almost a dying art, Kiwi shoe polish is available almost everywhere. If your piece is displayed indoors, you can use Scott’s Liquid Gold. Spray on to a soft, dry cloth and gently wipe your sculpture. Liquid Gold will rejuvenate and brighten the surface and is available almost everywhere. 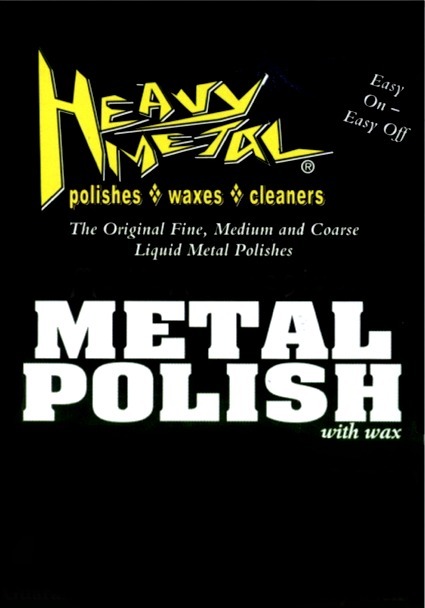 If you sculpture has highly polished areas, Rip recommends Original Heavy Metal Polish. Follow their instructions and apply this polish to the shiny areas only. Where to buy . If you have any additional questions about the caring for you bronze, feel free to call us at the Gallery. 503.492.2473. Katie Hovis of Whimsy has joined our holiday line-up. Along with her collection of gorgeous necklaces, bracelets and earrings, Katie will be introducing a great line of silver and gemstone rings. Be sure to shop the Gallery and take a look at her jewelry. Remember, Christmas is just around the corner! Local artist, Katie Hovis has been designing jewelry for the past 4 years, but her love of gemstones is a lifelong passion. Having always owned a unique collection of jewelry, Katie got to the point where she could never find exactly what she was looking for, so she decided to make her own. It wasn’t long before she had a clientele, and she now creates one of a kind works of wearable art, using precious metals and fine gemstones as Whimsy. The idea that a piece of jewelry can lift your spirit, and knowing that something she made may be the next family heirloom, or the final detail for a bride’s special day, is what keeps Katie inspired! The always popular and prolific Michael Orwick will be showing in the Gallery during the months of December and January. Michael’s ability to capture the subtle nuances of familiar locations throughout the Northwest and beyond, make his work highly desirable. Michael’s mastery of capturing light and mood is well known. Be sure to visit the Gallery during his show to see his beautiful work. Michael Orwick’s paintings seem to evoke a time when things might have been more peaceful, quiet and subdued. The gauzy, old world feel of his familiar landscapes are in contrast to some of his more illustrative work. One might be surprised (and delighted) to learn that Orwick started out at Will Vinton Studios (of California Raisin fame) as an animator, later moving into illustration. Orwick describes his style as “inspired expressionism” hoping to draw you into the painting and revisit it many times over. Orwick resides in Portland. I want to create paintings that reflect the beauty and strong ties I feel to the area, where I and seven generations of family before me grew up. “Oh, beauty, ever ancient and ever new.” (Saint Augustine). I want my paintings to capture the magic and wander I felt as I discovered the forested trails in the hills surrounding town, and breathed the damp air with its very cognitive feeling of being enveloped in lush green life, and the sweet musk of decomposition as old stumps give rise to saplings and innumerable ferns. I want to capture the filtered dappled light making its way to the path just before leading me in, bidding me to explore the next bend just over the moss covered log. My style has developed as a unique hybrid of elements from the artists and paintings I love. When people talk about my art they use word like “impressionistic” or “painterly,” which comes from my years studying the French impressionists and my deep fondness for the early California Impressionist painters. I love artwork that feels spontaneous yet controlled, like a thoughtful acknowledgement to what is being seen and felt. People also use words like “relaxing,” “nostalgic,” and “timeless” to describe my pieces. This may indeed reflect my focus to overcome a deep seated fear of having my art feel dated or trendy. Years ago I began to ask myself what was the art that drew me in, which styles did I connect with most, and I noticed it wasn’t about an era or a movement… The art I like is about light and shadow, about atmosphere, and about conveying the special feeling of being in a certain place at a given time of day. We are welcoming Brenda Boylan back to the Gallery for the months of December and January. Of course, she has never really left, but will be bringing a large body of new work. Most of you know Brenda’s pastel work, but Brenda has been working in oils for the past year. She has developed her own unique style in this medium and has also been painting city scapes as well as landscapes. Her new work is guaranteed to have her signature appeal. Brenda Boylan began her artistic career in California as a graphic designer, working with such notable clients as NIKE and Columbia Sportswear. She is a Signature Member of the Pastel Society of America and the Northwest Pastel Society, and is an award winning and published pastel painter. Boylan is currently featured in the April/May 2012 issue of Plein Air Magazine, where she discusses and demonstrates her unique technique. Boylan has an affinity for painting ‘en plein air’, which she describes as a combination of joy, poetry, and spirituality that uses all her senses to capture the landscape’s beauty. She also enjoys creating studio works when the winter months keep her indoors. She is often inspired by reflection on water, the seasonal color changes in the landscape, and the occasional urban scene. Boylan’s work can also be found in private corporate collections throughout the U.S. She resides in Portland, Oregon with her husband and two children. Painting is my refuge and my source. It is where I lose myself and find myself, again. As I layer pigment down in the form of pastel or oil, I am transformed to another level of consciousness, much like meditation, where I develop a joyful, poetic conversation with my subject. Each painting measures another step in my journey as an artist that often results in a never ending discovery of my visual world. Working both outdoors and in my studio provides room to communicate color relationships, light, and form. This desire to create and interpret what I see around me is a gift, a treasure, and the roadmap to my best and truest self. My move into oils has been an expedient one over the course of the year. The oils compliment my pastel work, and on some levels, influencing my technique with pastels, making them loose and more gestural. My current series of work presented in Caswell’s upcoming show will be a mix of both pastel and oil medium featuring my fascination with busy street scenes and urban nocturnes. Some pieces were painted “en plein air”, a French term that means ‘in the open air’, giving the artwork a looseness that offers excitement and spontaneity for the viewer.